We are complacent. We bask in the idea that Canada holds 20% of the world’s fresh water - water crises face other countries, but not ours. We could not be more wrong. 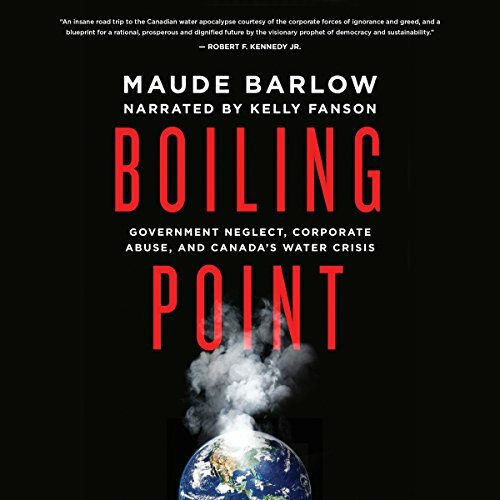 In Boiling Point, best-selling author and activist Maude Barlow lays bare the issues facing Canada’s water reserves, including long-outdated water laws, unmapped and unprotected groundwater reserves, agricultural pollution, industrial-waste dumping, boil-water advisories, and the effects of deforestation and climate change. This will be the defining issue of the coming decade, and most of us have no idea that it is on our very own doorstep.